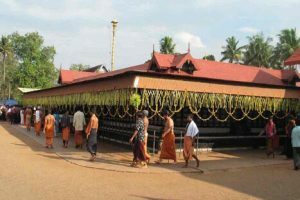 Sivarathri celebrated in Aluva, a place in Ernakulam district of Kerala, south India is called the Aluva Sivarathri festival. The celebration of Sivarathri in Aluva is very famous in Kerala. The month of Kumbham is noted for the Sivarathri festival which falls in February – March. 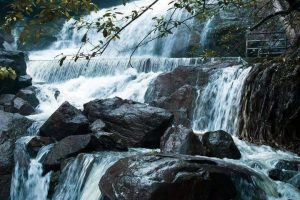 Areekkal falls is a must see beautiful place in Kochi, Its 35 kilometers away from the main city on the Ernakulam – Thodupuzha road. 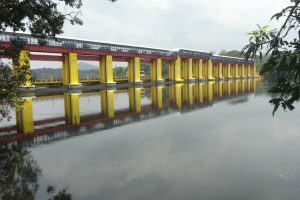 One can reach Areekkal falls within one hour travel from kochi main city. scenic dam site with boating facilities is situated in a vast virgin forest. It is a popular picnic sport with Salim Ali Bird Sanctuary near by. 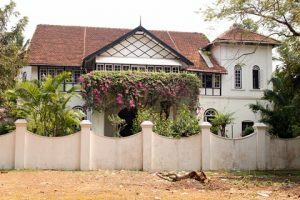 This land was once the abode of the Paliath Achans, the prime ministers of the Maharajas of Kochi. 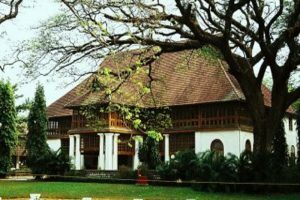 Their residence, the Paliam Palace represents the architectural splendour of Kerala. 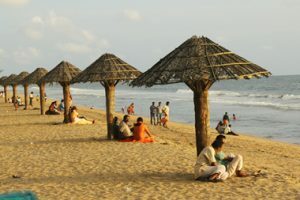 Cherai Beach is flaunted as one of the excellent beach in the Kerala. It’s a picturesque which looks more beautiful with green groves and paddy field. A high-tech children’s Park with Non-Conventional Energy Museum and Musical Fountain. 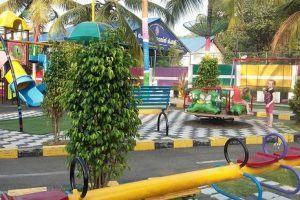 The Children enjoy a lot with the facilities available here. 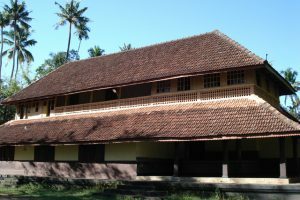 This palace is located on the palace road in Mattancherry. It was constructed by the Portuguese. Later, they presented the palace to Veera Kerala Varma (1537-65), the king of Cochin. 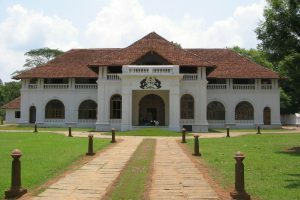 Hill Palace, constructed in 1865, was built in Tripunithura, the largest archaeological museum in Kerala and the administrative center of Cochin. 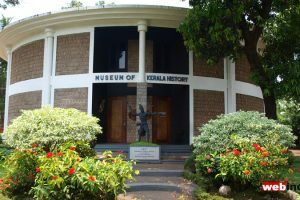 Important scenes of Kerala history are portrayed through through Sculptures. Greeting the visitor outside is a statue of Parasurama ,the mythological safe who is said to have created Kerala. Iringole Kavu is a famous Hindu In forest temple dedicated to Goddess Durga. 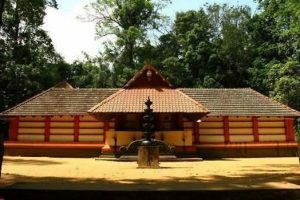 This is one of the 108 Durga Temples in Kerala believed to have been consecrated by Lord Parasurama, the sixth avatar of Lord Vishnu. 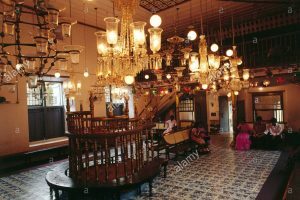 Mattancherry is known as Jatappalli which is an ancient Jewish worship center in Mattancherry in Ernakulam district. 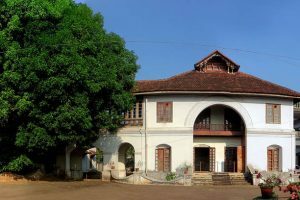 The Sinagogue was built in 1567 by Malabar Jews. The synagogue is known as the oldest synagogue in the Commonwealth of Nations. 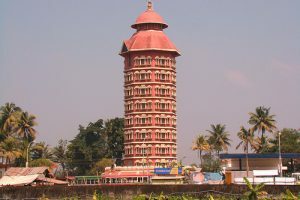 Kalady is the birth place of Adi Shankaracharya the great Indian Philosopher who lived in the 8th century. 2 shrines in memory of Sankaracharya – one for Dakshinamoorthy and the other for the Goddes Sharada. A 9th century Jain temple shaped out of from a huge rock on a small hill in a picturesque surrounding. The visitor has to climb 120 steps to reach this rare historic temple. 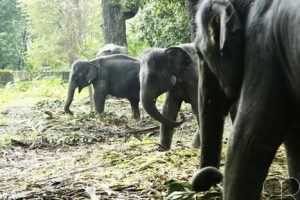 Kodanad is a place on the Periyar river in Ernakulam district.Located at a distance of about 42 km east of Kochi city, Kodanad is an elephant training center in Kerala and a small zoo. 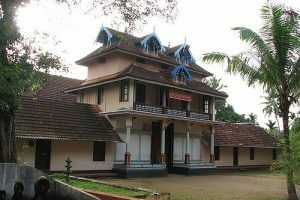 Kottayil Kovilakam at Chennamangalam, which was the seat of Kshatriya chieftains of Villarvattom. 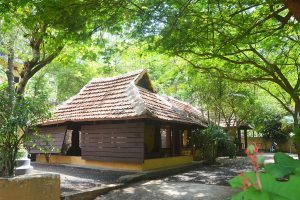 Chennamangalam is an important center of handloom weaving and coir manufacturing. 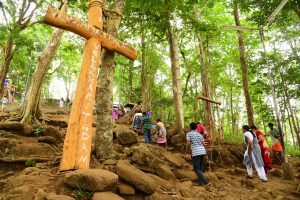 A place of prayer and pilgrimage; made rich by the foot steps of St. Thomas the Apostle, who sowed the seeds of Christianity in this part of the world. Marine Drive is considered to be one of the most beautiful part of Kochy city. 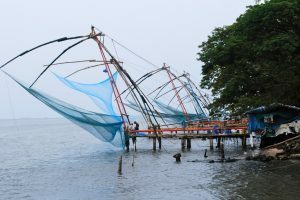 The marine walk is the main hangout for the local populace as the view of the backwaters and the harbour from here is excellent. 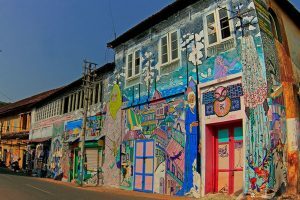 The Kochi-Muziris Biennale is an international exhibition of contemporary art held in Kochi, Kerala. 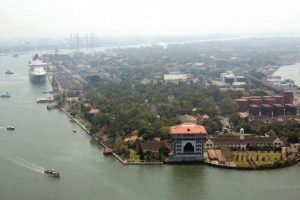 The Kochi-Muziris Biennale is an initiative of the Kochi-Biennale Foundation with support from the Government of Kerala . 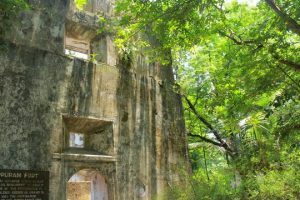 Pallippuram fort was built by the Portuguese in 1503. It is one of the oldest existing European monuments in India. The Dutch captured the fort in 1661 and sold it to the State of Travancore in 1789. This little-known destination is fast attracting tourist attention. 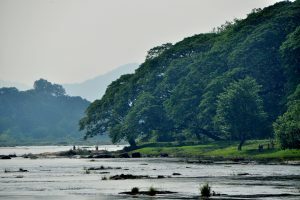 This place is now a favourite location for filmmakers, with many Malayalam, Tamil and Telugu films shot in its backdrop. 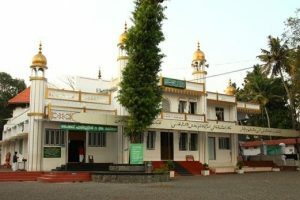 Pazhoor Padippura, is situated 33 km towards the southeast of Kochi, near Piravom, Kerala. 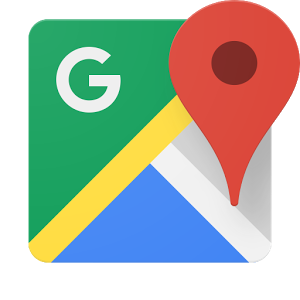 It is an astrology center linked to Pazhoor Perumthrikkovil temple. The temple is believed to be nearly 1,800 years old. 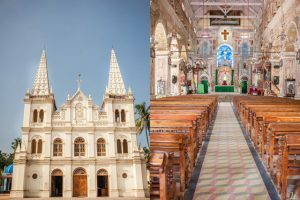 This Roman Catholic church is situated near the St.Francis church and is worth a visit.It is a specimen of portugese architecture built in 1503. ‘Frescoes’and mural paintings decorate the ceiling and interior parts of the church. 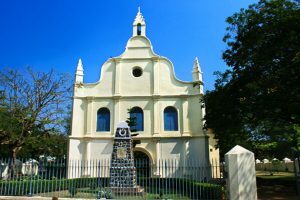 The first European church in India. Originally built in wood and named Santo Antonio in the 16th Century. Vasco da Gama was buried here in 1524. First bird sanctuary in Kerala. 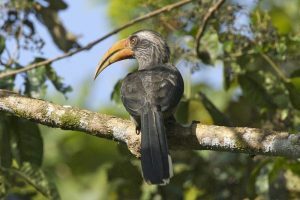 Salim Ali, one of the best known ornithologist described this sanctuary as the richest bird habitat on peninsular India. 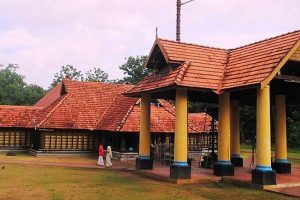 Thrikkakara Temple earlier known as Thirul Kaal Karai, meaning land where the Lord has placed His foot, is the most renowned. Research dates the temple to be 2000 years or even more older. The Basilica of Our Lady of Ransom, Vallarpadam-Ernakulam is a great centre of pilgrimage. 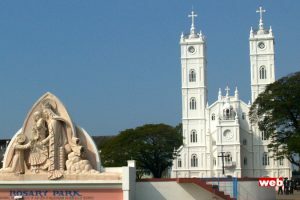 Vallarpadam Basilica is the most important Marian Shrine in India. 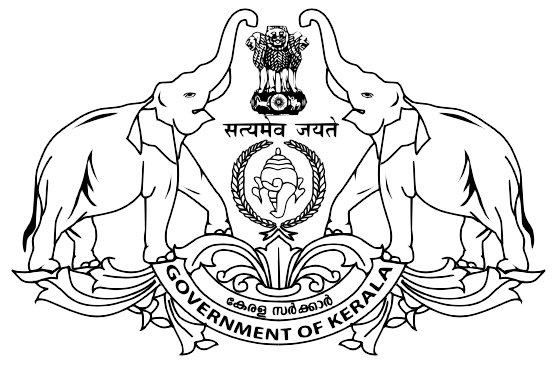 The central government of India declared Vallarpadam as the major pilgrim centre of India. Cochin Harbour, Southern Naval Command, Best hotels in the city, Port Trust head quarters, major trading centers etc. 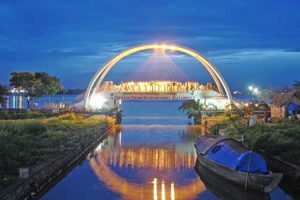 are situated at Willingdon Island.